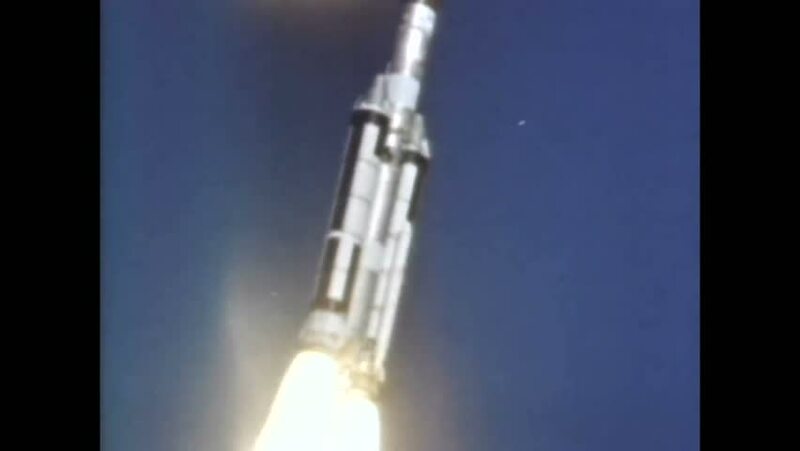 CIRCA 1967 - The Titan III is launched; footage shot from a camera attached to the rocket is included. hd01:26CIRCA 1960s - A rocket lifts off and it later reenters the atmosphere and an astronaut poses following a splashdown. hd00:12Animated launch or takeoff of a simple large space or interplanetary rocket with 24 busters burning liquid methane or other gas. Fire and smoke bounce of from invisible launch pad.